In the busy test and measurement environment of today, there is now a refreshing solution for routine circuit testing and debugging. 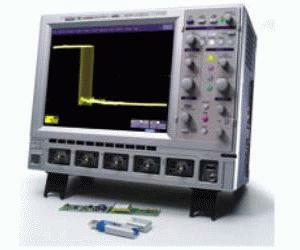 It is the new WaveSurfer Xs oscilloscope. Designed to make testing circuits virtually friction free, this new oscilloscope offers an easy-to-learn and use interface, a big screen, small footprint and very attractive pricing in the 400-600 MHz range. One Touch Access to 23 Measurements - The WaveSurfer Xs oscilloscope fits your working style as comfortably as it fits your bench. Twenty-three basic measurements have been built in to give you quick answers. Access the measure menu from the front panel. Select your measurement (and source, as necessary). High-performance mixed signal option. Capture digital signals up to 500 MHz with up to 50 Mpts/Ch memory, 2 GS/s and 18 or 36 channels.